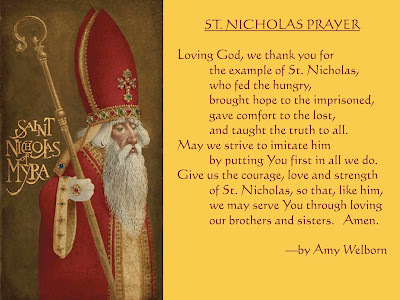 St. Nicholas should be an inspiration to us all. He was a godly man whose reputation for giving to people caused him to be a revered example of what compassion and giving are all about. He was not a jolly, fat man who climbed down chimneys and he didn't have flying reindeer! Stories of his life - a life full of Christian beliefs and values - are the real background for today's mythical Santa Claus. 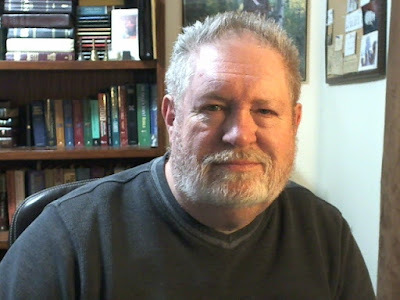 So much of what Nicholas was - and what Santa Claus has become - has been distorted by Satan. What has been done to weaken and distort the testimony of this godly man is wrong. Born in Turkey in the third century, Nicholas was raised by Christian parents. From the time he was born in A.D. 280, they considered him a gift from God. They diligently taught him devotion to God and to be very generous to the poor. At 19, Nicholas was ordained a priest. 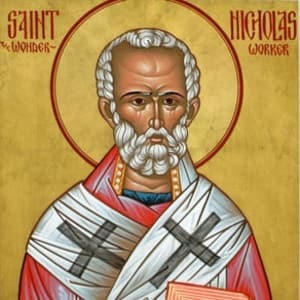 His uncle, a bishop, prophesied that Nicholas would offer guidance and consolation to many people, and that he would eventually become a bishop, and live a life of enlightenment. All of this was fulfilled in Nicholas' lifetime. Many accounts have been written of his dedicated life. It has been said that he would spend all night studying God's Word to bring it to the people. He was known for helping the poor, for praying, fasting and standing steadfast in faith and goodness. 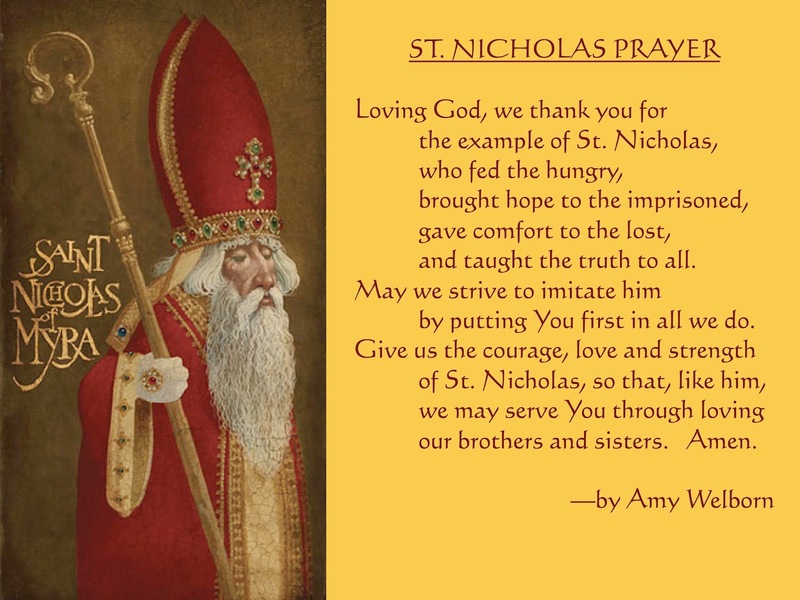 The true story of St. Nicholas is a beautiful picture of the giving that Christmas is all about. The greatest gift of all is the gift of Jesus Christ to us from God the Father. Jesus is our hope, redemption and victory. He is our advocate with the Father, our blood-covenant friend who will never leave us or forsake us. In Him we have the joy of living a heavenly life on earth. He is the meaning of Christmas. Christ Mass means "anointing celebration." It's the celebration of "How God anointed Jesus of Nazareth with the Holy Ghost and with power." It's the celebration of how the anointed Jesus "went about doing good, and healing all that were oppressed of the devil" (Acts 10:38). It's the story of our triumphant Savior, Jesus the Christ, the Lord of lords and King of kings!